If possible, our translators use Computer-Assisted Translation (CAT) tools. These useful tools must not be mistaken for automated translations! When sentences are translated into the target language by a qualified translator, they are stored in a database, a Translation Memory (TM). A fuzzy analysis then shows the translator sentences in the target language that they (or another qualified translator using the same database) have already translated in the past. The translator might only have to replace a few words. We have been establishing customer-specific Translation Memories in this way since 1999. In addition to databases at sentence level, electronic dictionaries and customer-specific terminology can be included in the translation process. We use the CAT tools Across and SDL Trados. In 2016, we started working with SDL Groupshare. 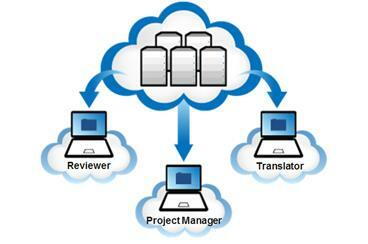 This cloud-based solution is a simple way to involve our translators around the world in the translation process. You have questions regarding translation technologies? You are interested to learn more about CAT tools?